Entrepreneurial Teaching – Ruminations on how good teachers are entrepreneurial and how you can be too. Over at edSocialMedia, I posted some initial thoughts on Google Classroom. Check them out! One positive indirect outcome is the potential for MOOCs to ease the burden on community colleges. As budget crises plague states throughout the country, community colleges have taken a huge hit. At the same time, enrollment demand at these institutions has increased. The problem grew so severe for California that in 2009-10 the state turned away 140,000 prospective students. There seems to be a real possibility here that continuing education/job skills/hobbyist community college students (ie. the “organized and highly motivated” students Rooks mentions above) could move to MOOCs. According to the American Association of Community Colleges, noncredit earning students make up nearly 40 percent of enrollment (5 million students). If MOOCs go mainstream then this could ease the burden on community colleges and open up seats for underserved students. Of course, community colleges would need to shift their budgets and staffing away from these non-credit courses, but funds could then be allocated toward credit earning students and those who need (or prefer) the traditional classroom model. Last week I put up a new display in my classroom called “Courageous Women in American History”. With the help of our Copy Center, I printed six 11×17 pictures of women from American history. Pretty standard, right? Well, I decided that rather than simply picturing these amazing women, I would also add a QR code to each piece of paper. QR codes, or quick response codes, allow you to embed text, URLs, phone numbers or SMS messages into an image like the one above. So now if my students look at these women they can (potentially) get more information by scanning the QR code. My QR codes forward them to a very basic site that I created using our school’s Google Apps suite. I could have even simplified this project and had the QR code forward students to the Wikipedia page for each woman. To be frank, my expectations for student engagement in this project are pretty low. I’m sure that I will have a few students scan the bar code out of sheer curiosity, but I’m not expecting a huge rush of students eager to learn more about Jane Addams or Sojourner Truth. I am okay with that because, in principle, I like the idea of having a more interactive classroom. Moreover, QR code usage is simple, so the ability to embed interactive content into public displays is easy enough to be worth the effort. If I simply put a text URL on each of the posters, student engagement would be around zero percent. With the QR codes, however, I can at least pique the interest of a small cohort of students. Teenagers + technology = success. Sounds appealing to the techies among us, but we’ve learned its not that easy. Yet it is an assumption that many of us make, a trap that can easily snare the technophile educator. In our excitement for technology and cutting edge, we may forget that, even in the realm of technology, diverse learning styles and competencies exist. I enjoy exploring new technology. If I cannot figure out how to do something, I am much more likely to wade through a new technology in search of the answer than immediately ask Google. For me this is not just about learning a new technology … it is also, well, fun. As a high school student, my teachers would offer painful step-by-step lessons on how to complete different tasks in Clarisworks or Netscape. There was, to my frustration, no shortage of wrath for students moving ahead too quickly. A premature click on “ok” was akin to putting us on the brink of World War III, a la Matthew Broderick in War Games. Fast forward to classrooms today and there are many students feel the exact same way. Yet there remain students who feel overwhelmed by this type of exploration and prefer a more methodical approach. Even for today’s “digital natives”, many appreciate the step-by-step instruction. I am hardly suggesting we avoid technology in the classroom, but just reminding us (including myself!) that differentiation exists within technology just as it does in math or history. Nor am I suggesting that we never make students try different ways of learning technology, even if it is outside of their learning “comfort zone”. However, the more latitude we give for different learning styles, the more likely students will embrace technology and master the skills they need. Students are not “digital natives” – they are learners. Or at least that’s the unsubstantiated claim put forth in a recent US News & World Report article. According to Terry Wood of St. Mary’s Ryken (MD), there has been a “dramatic decline” in the writing abilities of her students “due to Tweeting, Facebook, and texting.” What strikes me as unfortunate, if not irresponsible, about this statement is the causal link Ms. Wood draws between social media and a decline in writing abilities (See: Correlation does not imply causation). Using only anecdotal evidence, she states (as fact) that social media is making our students terrible writers. I just posted a blog examining the evolution of the term “digital native” in education over at edSocialMedia. Be sure to read the rest of this post and check out what else is going on over at edSocialMedia. I’m excited to join the edSocialMedia blogging team. My first post on their site is now up: Where Have All the Tweets Gone? Utilize primary sources to develop a historical argument. Review effective research note taking procedures. Appraise how different historians view a specific historical event. Defend a historical interpretation in an oral presentation. 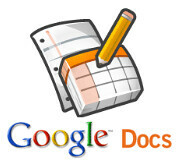 Document research on a specific historical event using Google Sites. The project consisted of three main parts: collecting evidence using Evernote, presenting findings through Google Sites, and defending conclusions with oral presentations. Forcing my students to use Evernote had mixed results. Most of the problems occurred because some students had to use the mini laptops, while others brought their Macbooks from home. The mini laptops, or netbooks, seem to really bother students and I would say their productivity compared to the Macbooks or desktops was around half capacity. Perhaps I will share more on this and Evernote later, but today I wanted to talk about Google Sites. I am fortunate to work at a school where the students have access to Google Apps. This made it very easy for me to use Google Sites in class. The students simply login to their email and they can see the “Sites” link at the top of the screen. Within two minutes they had created a website. I did not have to worry about setting up accounts for students or finding a wiki service that offered everything I need. Also, the sites could easily be shared with me, peer editors, the entire school, or the world. This project focused on collecting and presenting research. I asked each student to research a historical ‘problem’ or question from the Gilded Age. For example, “How does social Darwinism, influence the role of the government in the economy during the Gilded Age?” For this unit I gave them around 20 possible ‘questions’ to research or allowed them to choose their own. Ideally, in order to make this truly student-directed, each student would create his or her own problem, but I did not have the time to do that in this unit. On Google Sites, the students created a small five page website. The main page website included student produced background paragraph(s) and thesis. The students created subpages on the research they collected to build their thesis. For the subpages, one page presented a bibliography of the books used, one a bibliography of the internet resources used, and one excerpts and analysis of primary sources found. Some students took the site to the next level. Google Sites makes it really easy to embed music, YouTube videos, and other multimedia from the web. It also allows you to add a “comments” section at the bottom of each webpage. This allowed each student to get feedback from their peers, similar to a blog posting. I was also thrilled to see students sharing tips about Google Sites and research resources over our class Twitter feed. I liked the Google Sites approach because this allowed students to take ownership over their final product. I wanted to force students to think critically and devise their own historical interpretation. This meant taking ownership over their ideas and thought process. Creating a personal website simply continued to build off of this theme. I could have done better with this by not giving them a framework for the site (letting them choose how to present their findings). The students will be using the research skills developed in this unit for their fourth quarter research paper. I will not force them to use any of these tools, but many are already using Evernote and Google Books for that project and even other classes. As a side-note, I tend to grade projects without rubrics for a variety of reasons. After some negative feedback about this approach, I caved for this project and created three detailed rubrics. I could explain how this was both beneficial and detrimental, but that is a much longer post. That said if anyone is interested in the rubrics, contact me and I will be happy to share. An example of an article I asked the students to find from the New York Daily Tribune (August 5, 1900, p 12). One of the most exciting endeavors in digitization of historical sources is the Library of Congress’ Chronicling America project. Anyone who has spent time in front of microfilm knows how powerful this project is. Chronicling America currently searches newspapers (including advertisements) from 1880-1922. This year, the project hopes to bring 1860-1880 online, offering the Civil War and Reconstruction era newspapers up for exploration. The open platform allows you to save newspaper pages in PDF format and I had no problem using a standard Mac screen capture to grab parts of a page. The implications for using this site in research projects are obvious, but I wanted to bring these newspapers in to supplement classwork as well. In preparation for one of our classes during the Gilded Age unit, I decided to print out around 15 different newspaper pages from the era. Each page corresponded to a different theme or identification from our reading. For example, the students got to see examples of the “Gibson Girl”, Jane Addams’ work at Hull House, and immigration demographics. In groups of two, I asked the students to take an entire newspaper page and locate the theme or identification from the reading. The students then explained how the discovered connection relates (or doesn’t relate) to what they read in class. When they came to an acceptable conclusion I swapped their page with another one and they started the process over again. This activity served a variety of purposes. Most significantly, the students began to see history as ‘actually happening’ as opposed to something just inside of their textbook. They are all (believe it or not) still familiar with newspapers in their own lives. Actually seeing one from over 100 years ago added relevancy and significance to the Gilded Age. Obviously, students also got the added benefit of using and exploring primary sources to supplement textbook reading. A natural (more student-driven) extension of this project would allow students to find the articles themselves. Drawbacks: Most papers are “regional” in nature, some are near impossible to read when printed out, there are over 100 periodicals but they’re only from 16 different states, the site runs slow sometimes as the images are large.